The Nov. 29 decision clarifies a Nov. 8 order placing an injunction on the contentious project after U.S. District Judge Brian Morris found that the project’s 2014 environmental assessment by the Obama administration was inadequate. TransCanada then asked the court to amend or clarify the order to say that early work was OK, which the company said would pave the way for full construction to start as early as mid-February. A decision on the remaining pre-construction work, such as movement of pipe and site preparation, will be made next week after Morris receives written arguments from the environmental groups behind the lawsuit, TransCanada spokesman Terry Cunha said. 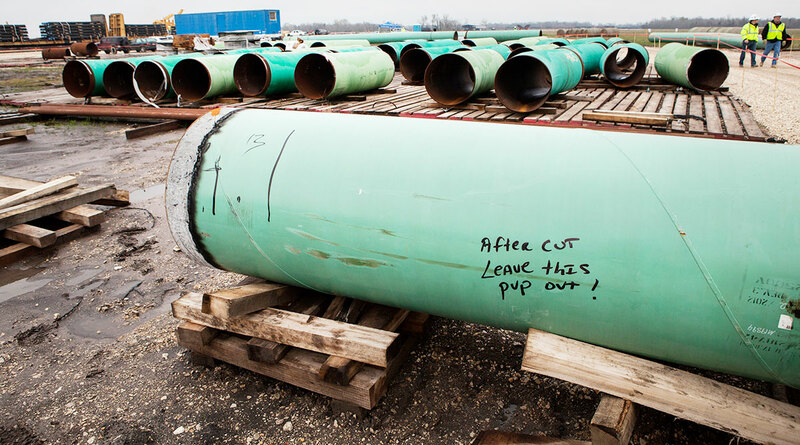 “It is too soon to say what the injunction will mean to the timeline of the Keystone XL pipeline, but we remain confident the project will be built,” Cunha said, adding that the company will resume engaging with stakeholders. The 1,200-mile pipeline, which would help carry 830,000 barrels of crude a day from Alberta’s oil sands to U.S. Gulf Coast refiners, has faced legal holdups amid staunch opposition from environmental groups and landowners. TransCanada has yet to formally declare that it will build the conduit.